From the very early days of the internet, pictures of badly translated signs and text from around the globe have been a favourite. Things have improved somewhat with the help of translating software but there is no such tool for extracting the creative ideas from one mind and implanting them into another. 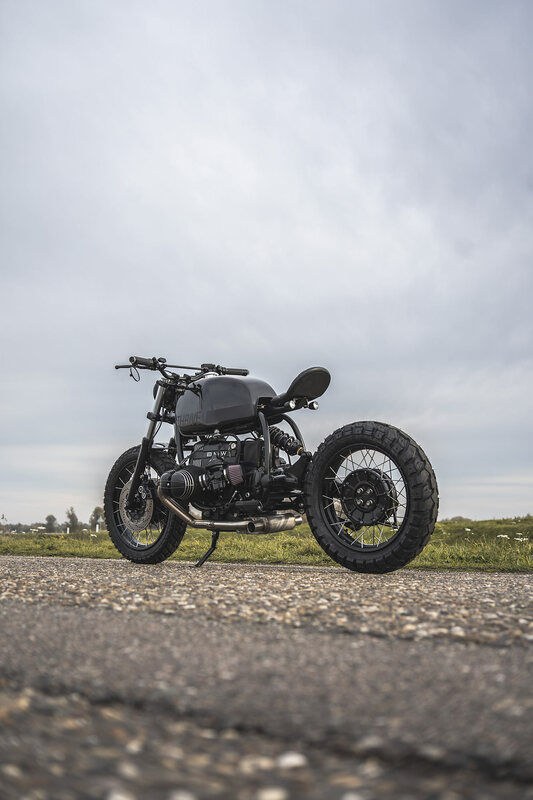 So when a client approached Ironwood Customs with very specific demands, the pressure was on head honcho Arjan van den Boom to deliver. 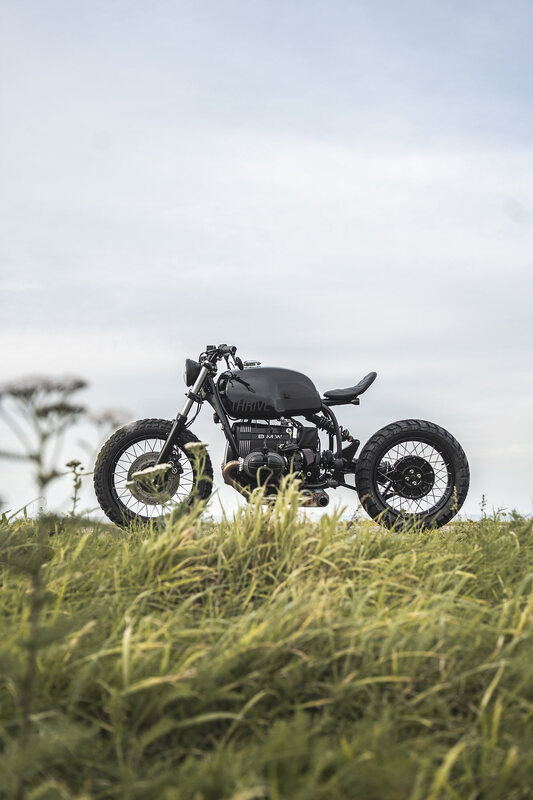 But his ability to decipher someone else’s desires are as refined as his bike building skills and he’s turned a stale 1992 BMW R100R into this beautiful black scrambler brat, appropriately called ‘The Interpreter’. 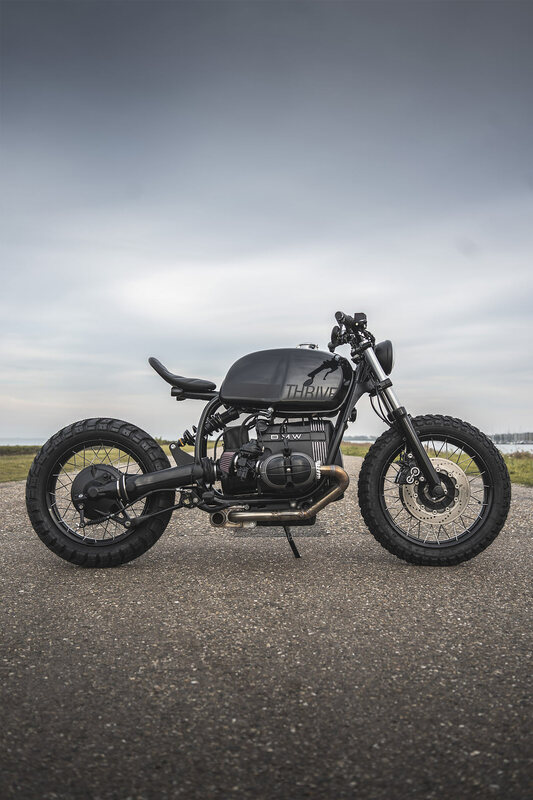 With the Flevoland, Netherlands based outfit having built a dozen BMW R customs over the last five years the client had picked the right shop. So no doubt enjoying the surrounds and hospitality of the Ironwood display room in leather sofa comfort, he’d built up an idea of what he did and didn’t want; and he was firm in his views! 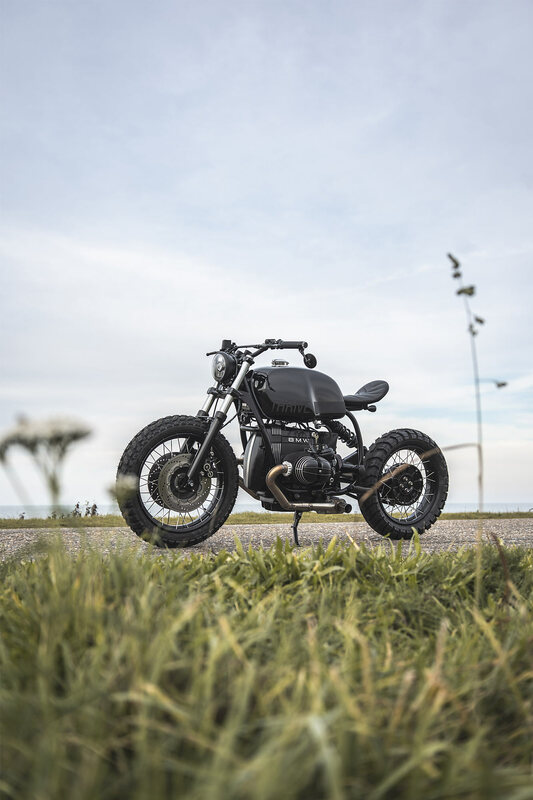 “ We do a lot of tailored solutions but for us this bike reflects the interpretation of the specific demands from our customer. 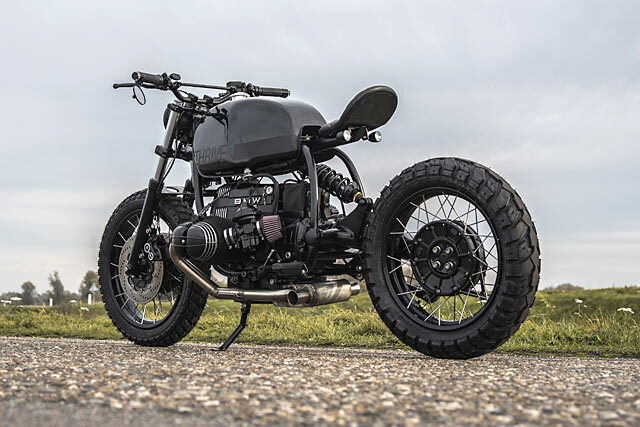 We tried to read each statement or comment from him and convert it directly onto the design of his BMW,” explains Arjan. 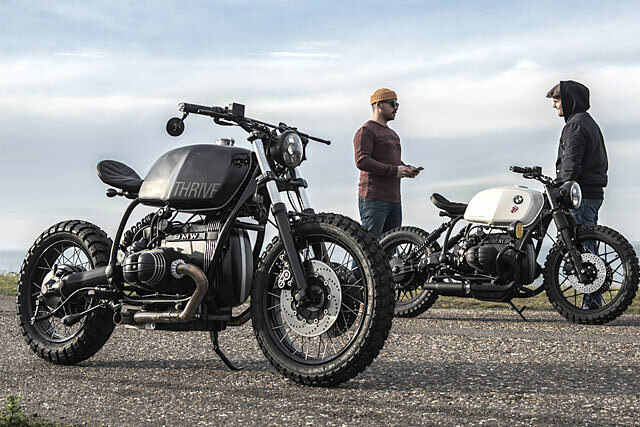 The first task was to source an appropriate donor and with BMWs having always been popular in The Netherlands it wasn’t long before they struck gold. An old motorcycle collector who takes particular pride in his vehicles had just the right bike for sale and the cash was handed over. 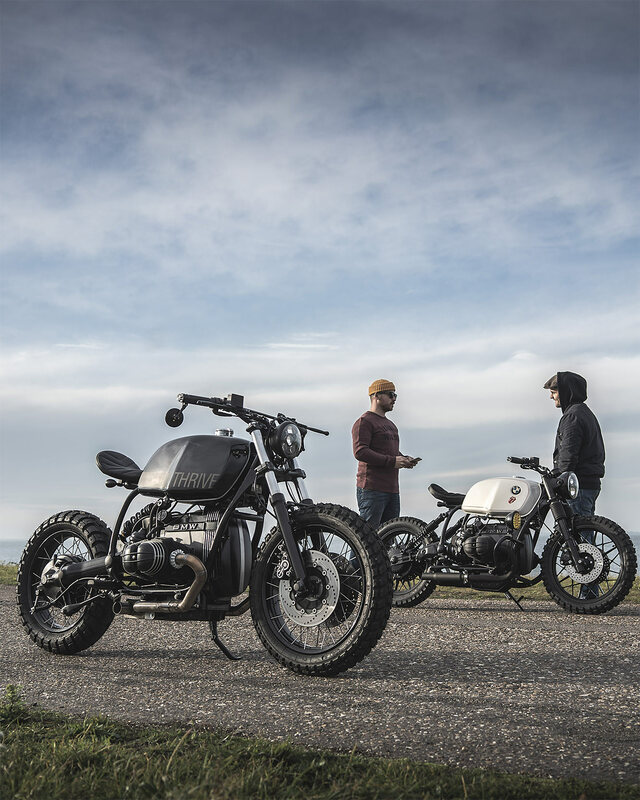 Back at Ironwood it was torn down and the team could work out the path forward with the clients non-negotiables being “spoked wheels, big chunky tyres, bulky gas tank, mono shock and a floating seat”. To make sure the whole team were on the same page, Arjan drew up a design and work could commence. 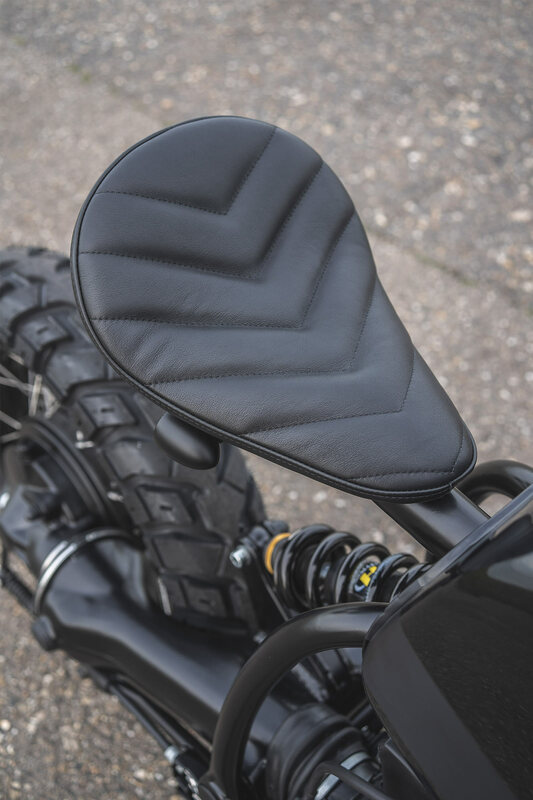 First up were chassis modifications with the standard subframe thrown aside and the Ironwood signature seat post that protrudes neatly from the backbone welded in place. This fits the floating seat style the customer hand in mind, but he’d also dreamed up some swingarm changes. 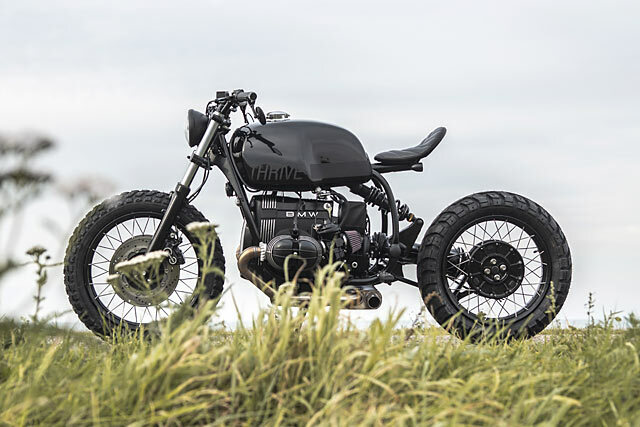 “The one-off rear shock design challenged us to execute it properly as envisioned on paper by the customer in advance of the project,” Arjan tells us. While the stock bike uses a mono-shock, the client wanted it moved further forward and inside the right frame rail. Arjan was clear he didn’t want to make the swingarm a bulky metal mess to accommodate the design, so rather than guess with something so vital to the bike’s performance he reached out to the suspension wizards at HyperPro. Together they engineered a neat solution, with new mounting points welded up to perfection and a custom-built for the task HyperPro shock fitted for good measure. With everything smoothed out and excess tabs removed, the frame, swingarm and a bunch of miscellaneous pieces were sandblasted and sent out for a dusting of black powder coat. With the bulk of the bike out of the shop the engine was cracked open and treated to a full rebuild to ensure years of trouble-free riding. To bring the spark into the 21st century the Bosch ignition was replaced with Silent Hektik’s full electronic and adjustable system. While the fuel side is still fed by Bing carbs, they’ve been overhauled and re-jetted to suit the K&N pod filters. 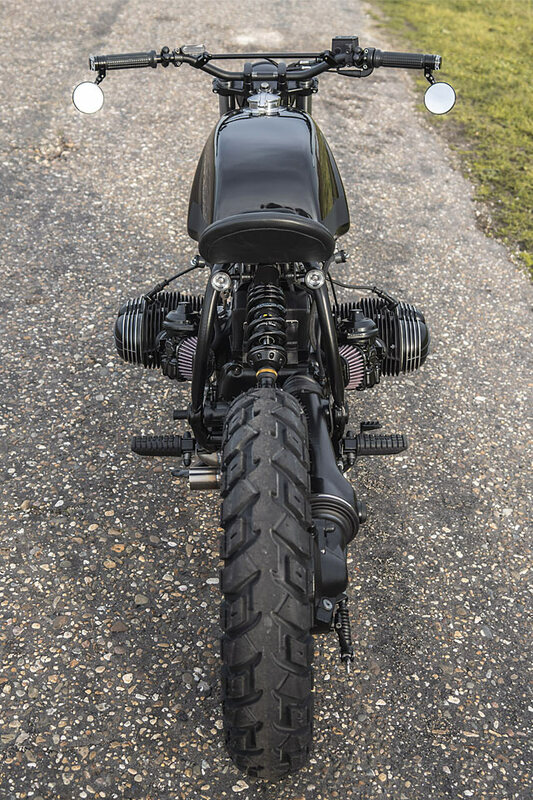 But stealing the show is the stunning exhaust system that is the handiwork of Marcel from The Custom Factory. 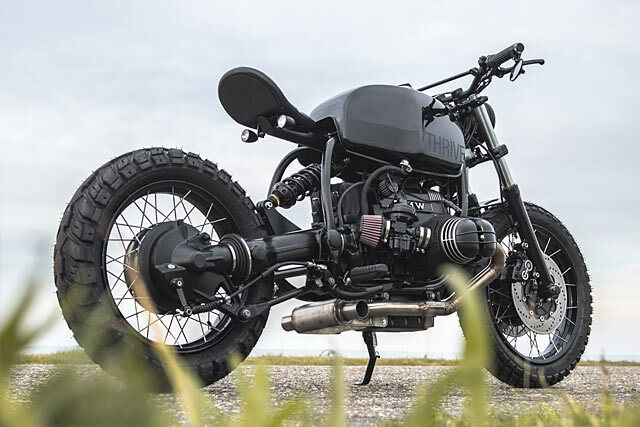 Of full stainless construction, the welded headers are to die for and merge under the motor in a hand-built twin exit muffler. With the frame back at Ironwood the assembly began with the new rear suspension bolted up and the hubs hung front and rear. 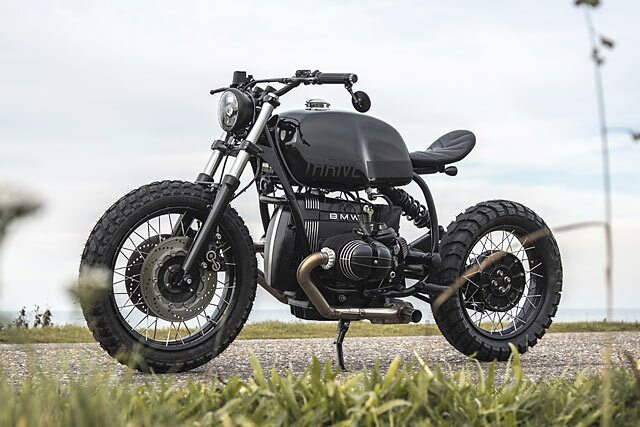 These are laced to new blacked out rims and wrapped up with Arjan’s tyre of choice, the dual sport Heidenau K60. 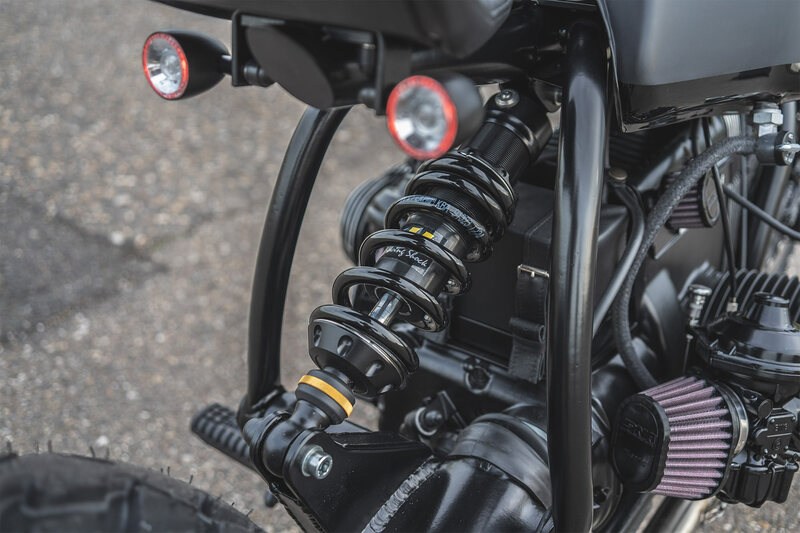 The front suspension keeps the standard externals lowered through the powder coated triple trees with the internals changed to match the new rear end setup. With plenty of weight removed the factory Brembo twin disc brakes are more than capable of hauling up the blacked out beauty. The earlier model tank gets the looks spot on and has a Monza filler grafted into place for good measure. 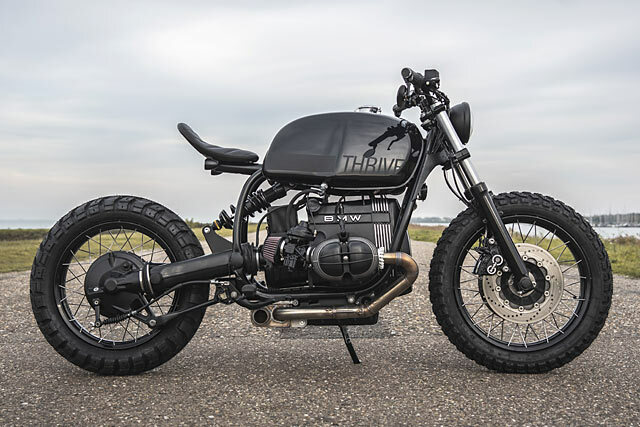 The deep gloss black paint is perfectly contrast with the matte graphics, the client’s company motto, painted up by Jacco from Royal Kustom Works. 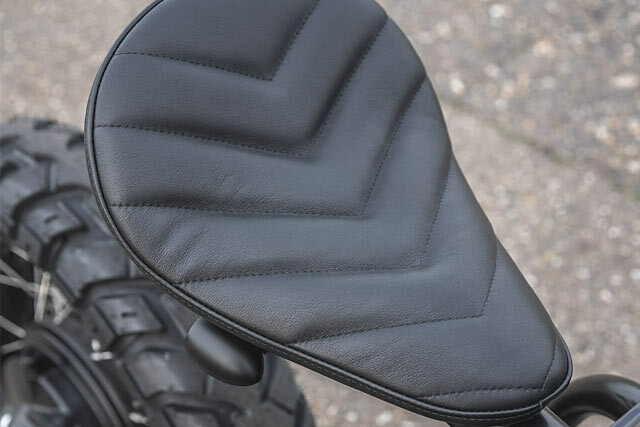 While the floating seat request is finished off with a solo, stitched together by Miller Kustom Upholstery. 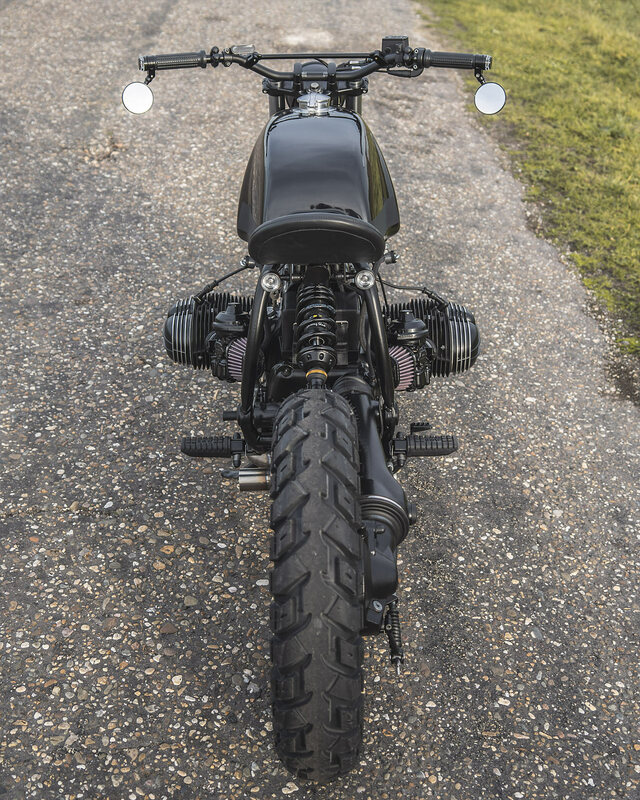 The front headlight gets a modern interpretation on the classic style with an LED arrangement and the rear indicators feature clever taillights incorporated into the outer rings. 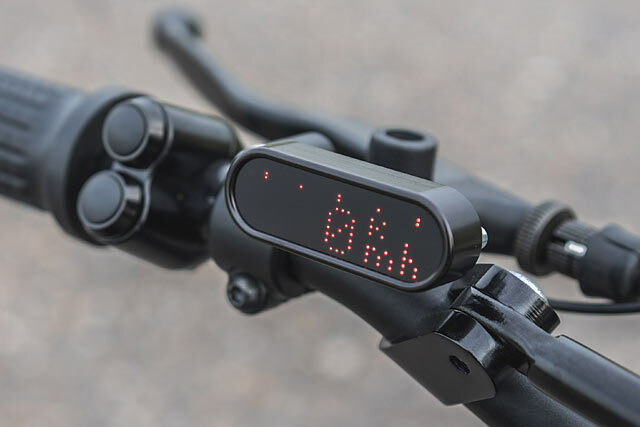 All the factory wiring has been ripped out and replaced with only the best from Motogadget, with an m-unit serving as the brains of the operation. Up on the braced bars a set of Motogadget m.blaze turn signals work together with bar end mirrors to keep the friendly policeman happy. 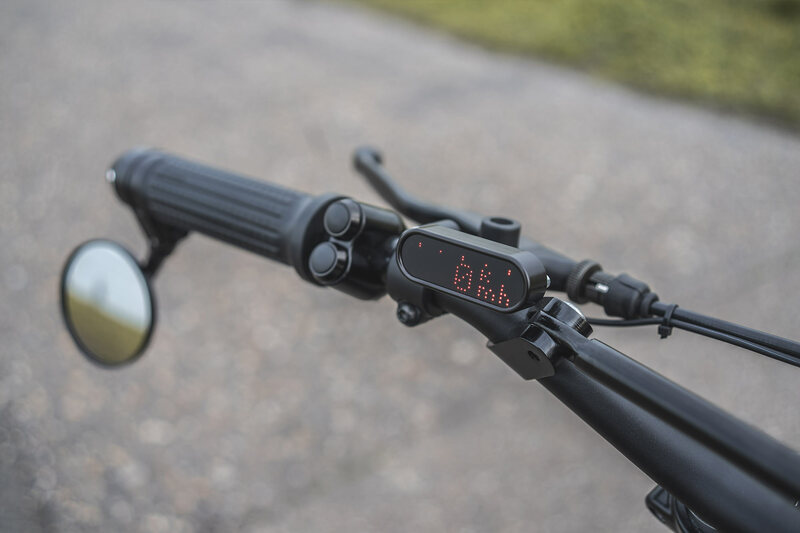 While things are kept ultra minimalistic with an offset motoscope mini serving as the instrument cluster to finish out a killer build. 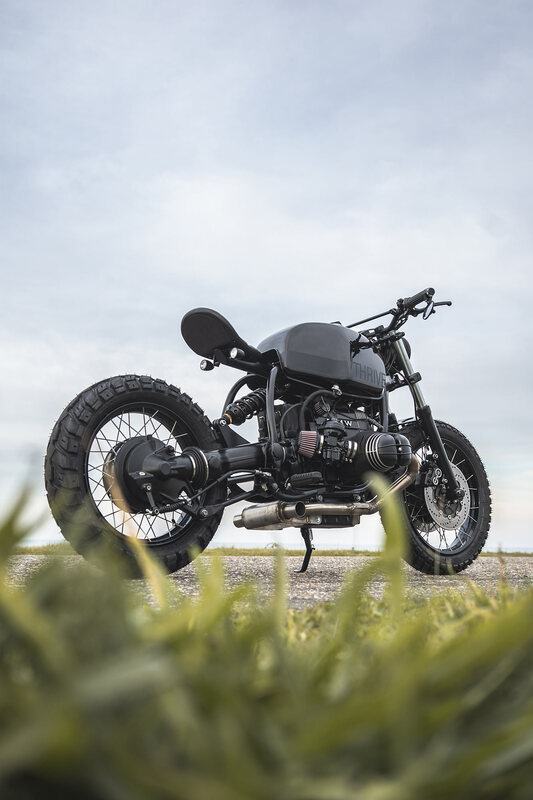 BMW R builds have become a staple of the custom scene, with very good reason, and so long as workshops like Ironwood Customs can translate their customers dreams into rolling masterpieces they’ll continue as the moto du jour par excellence!